Community Service by the TXSTMA! 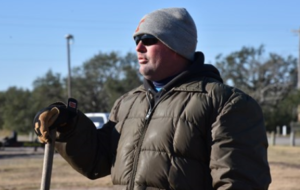 Weston Floyd gave back to the community in a Texas sized way. Rockport that were ravaged by Hurricane Harvey in 2017.
in so many ways and we really appreciate the outpouring of generosity and selflessness. The effort was covered by many news outlets in the state. Below are links to some of the news stories and the next two pages include photos from the special day. Way to go TXSTMA members!!! You rock! I wanted to THANK everyone who was able to come out and help our efforts in Rockport last Saturday. The work that you completed that day was a tremendous show of compassion and skill by all our members involved for people that none of you knew. As a member of TXSTMA, I am so thankful that we as an organization could find a day, and help others that have been thru so much pain and heartbreak. It would not have happened without you the members and the different organizations that allowed you to participate. To the vendors that supplied materials and goods I thank you as well. Your generosity for this project was overwhelming. With the help of your products, we were able to start a solid foundation in Rockport that will help them this year and beyond. They were so overjoyed to have some of the things we take for granted. At the end of the day one parent was so happy that the softball infield was flat. The little things like that are what made this project so fulfilling. We were able to leave them with materials that will help them during their season and make it a little safer. 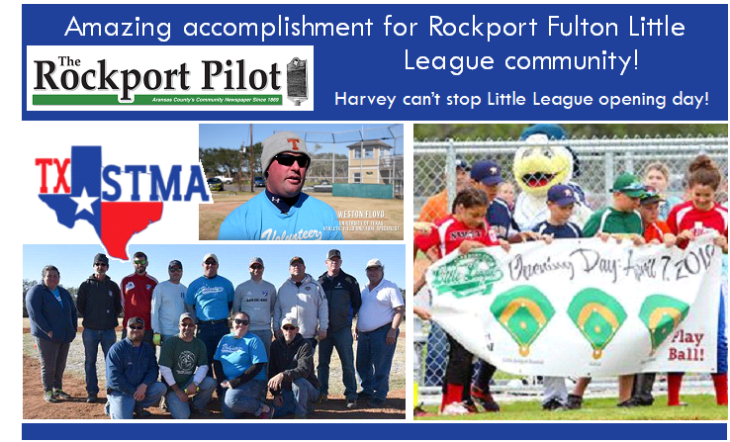 When we started this project, the town of Rockport was not going to be able to play their little league season. However, after all of your hard work that night they opened up the website for registration. You helped that town, you helped those kids have a season, and without you that would not have happened. I am forever grateful and proud to be in an organization that is able to give back as we did.